England Lions are up against it after India A made a commanding start on the first day of their second unofficial Test in Mysore. India A reached 282-3 at stumps with Abhimanyu Easwaran leading the way with 117 before he was finally caught behind by wicketkeeper Ollie Pope off the bowling of Dom Bess (1-71). Easwaran and KL Rahul had put on 178 for the first wicket until Rahul was the first wicket to fall to Zak Chappell (1-32) for 81 - Pope safely pouching. The hosts continued to build after the departure of both openers, with Priyank Panchal scoring his half-century in 88 balls before he was dismissed by Tom Bailey (1-46) with the last ball of the day. 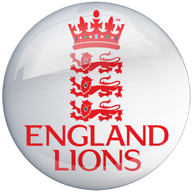 England face a tough task to end the mini-series on a high following a draw in the first match in Wayanad last week.